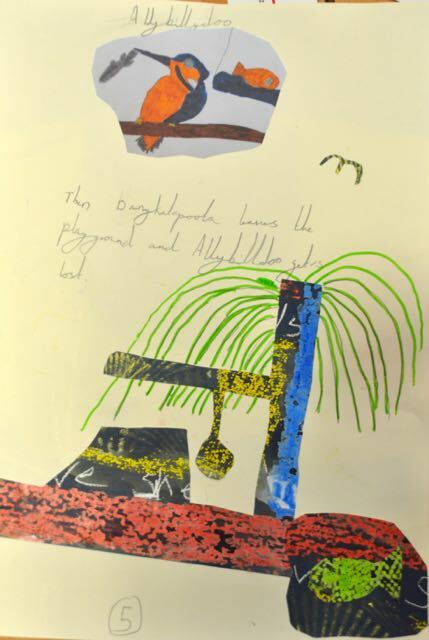 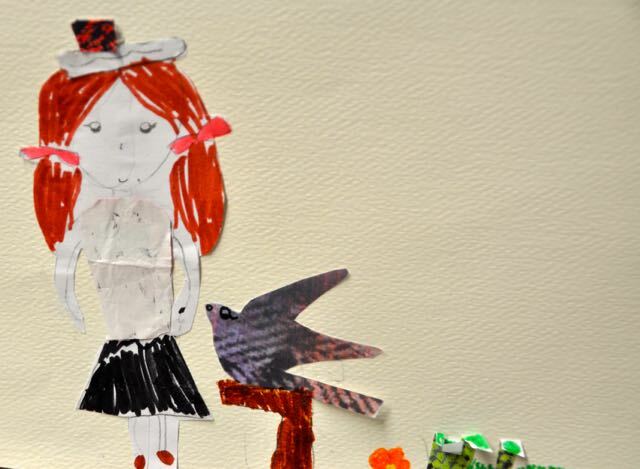 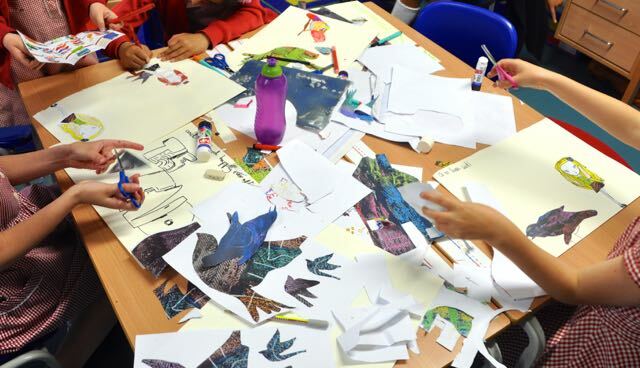 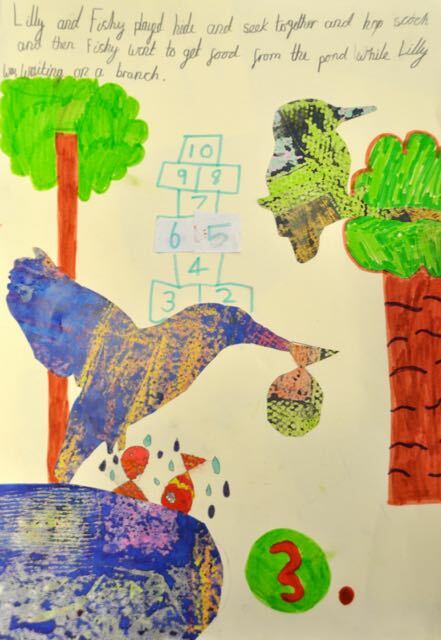 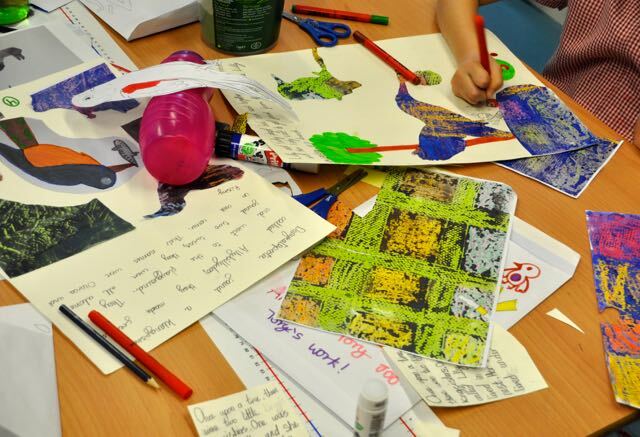 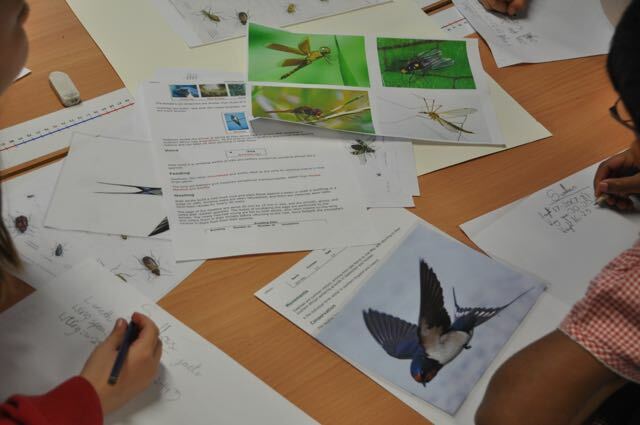 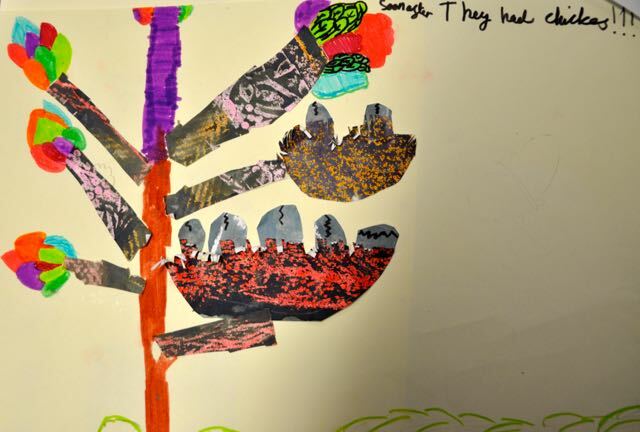 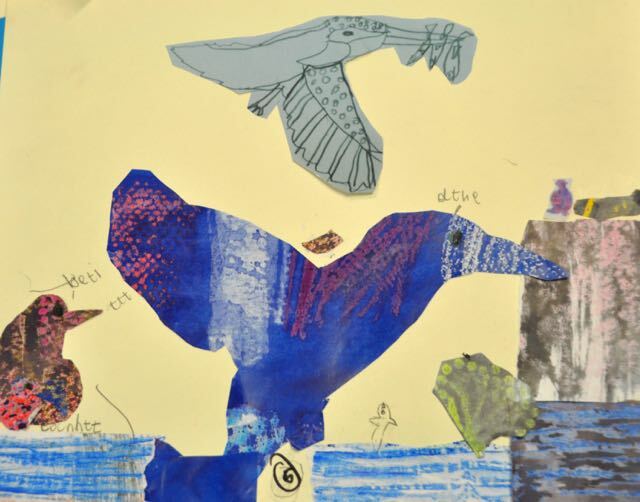 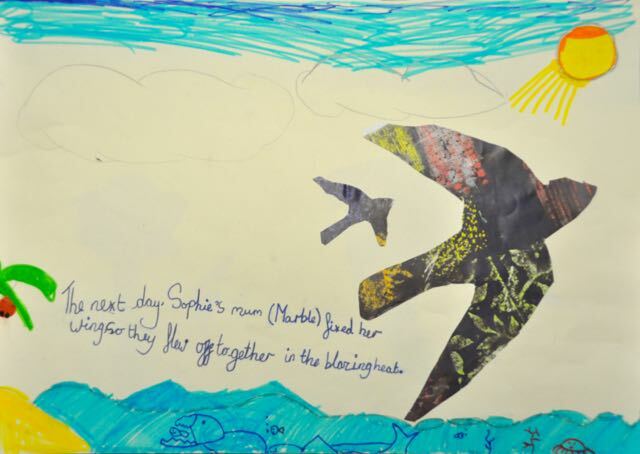 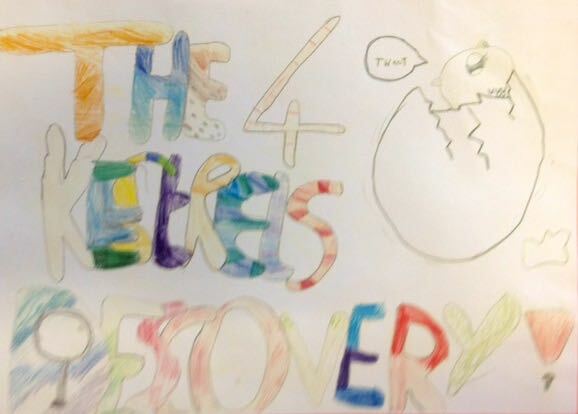 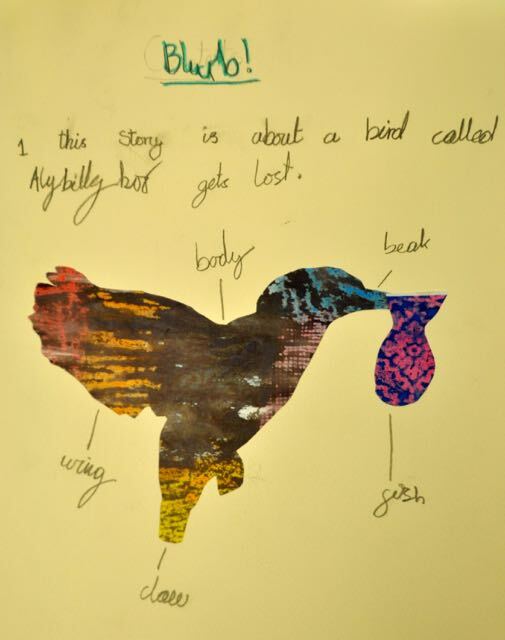 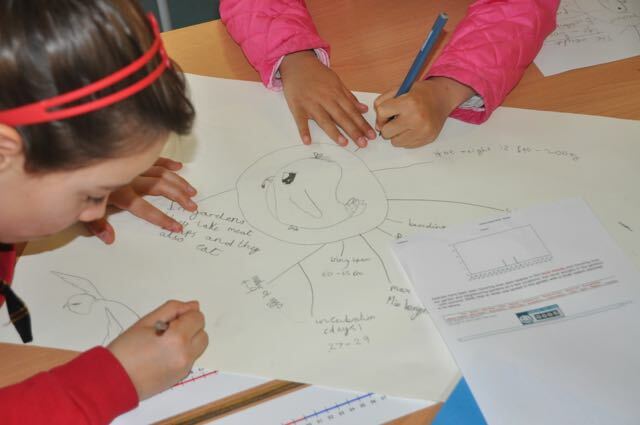 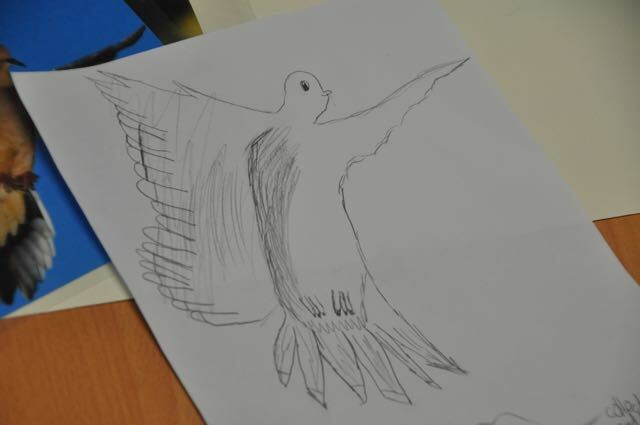 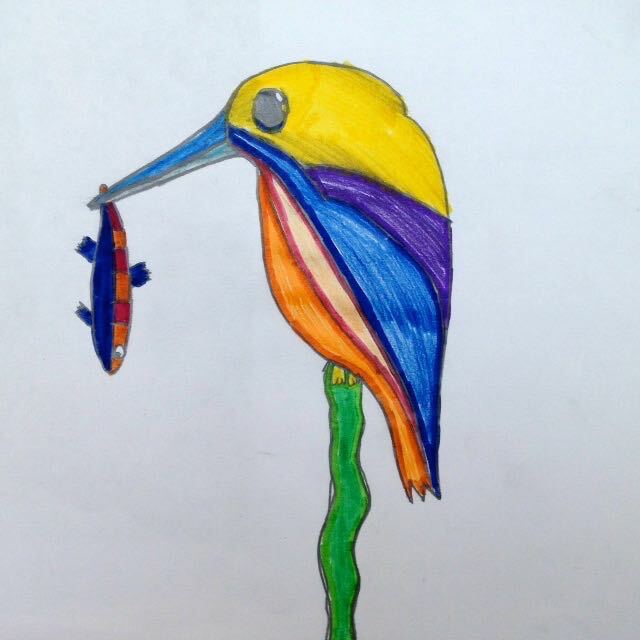 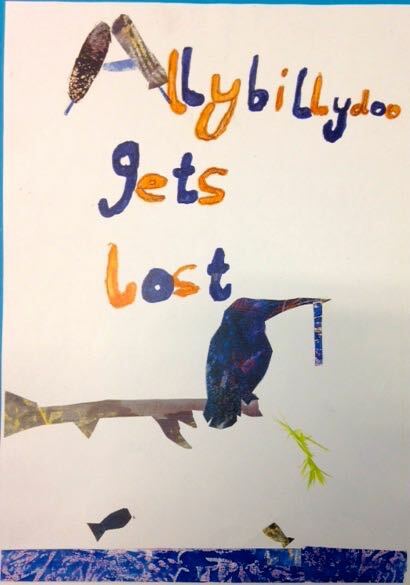 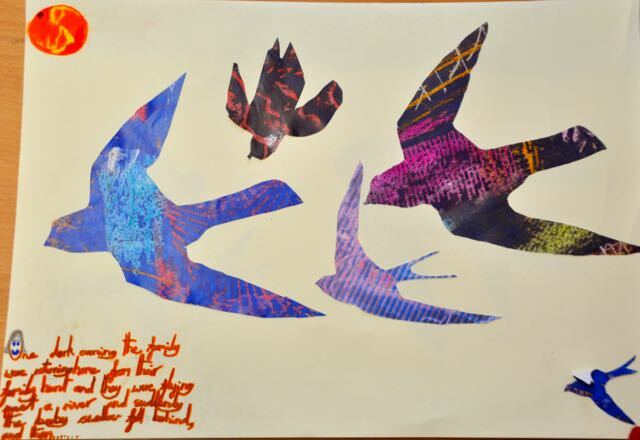 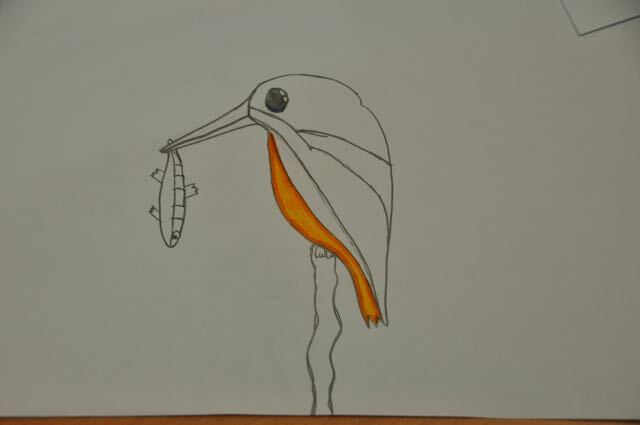 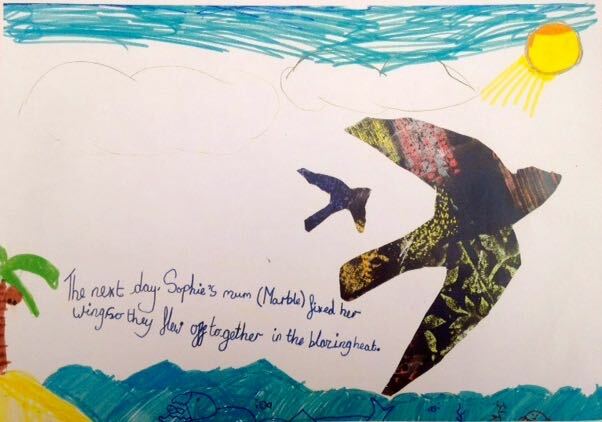 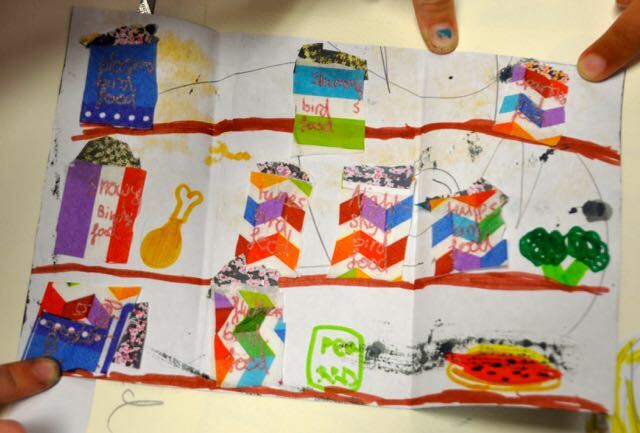 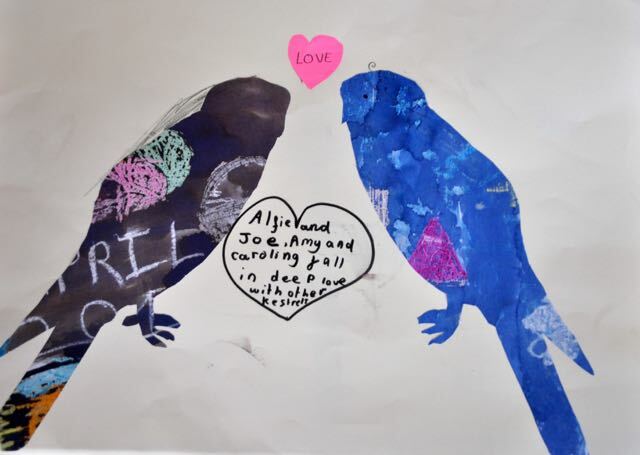 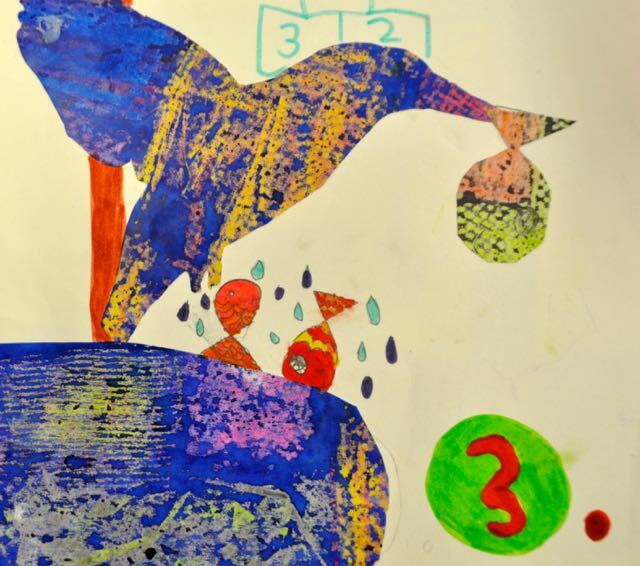 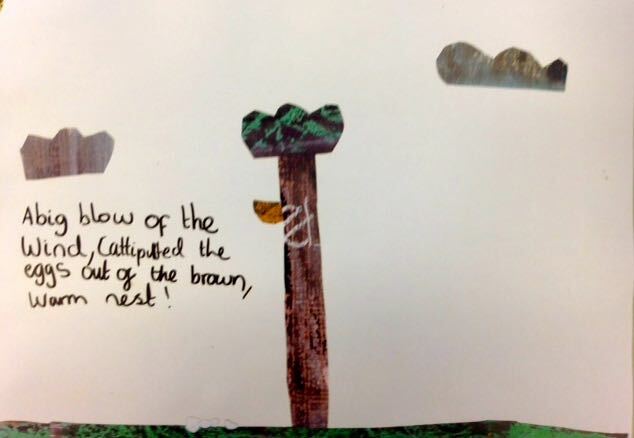 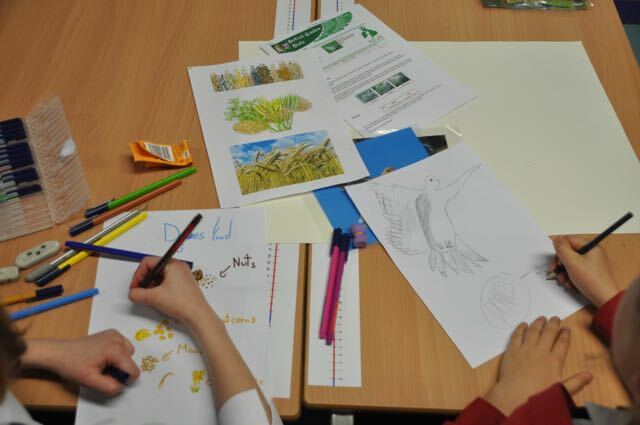 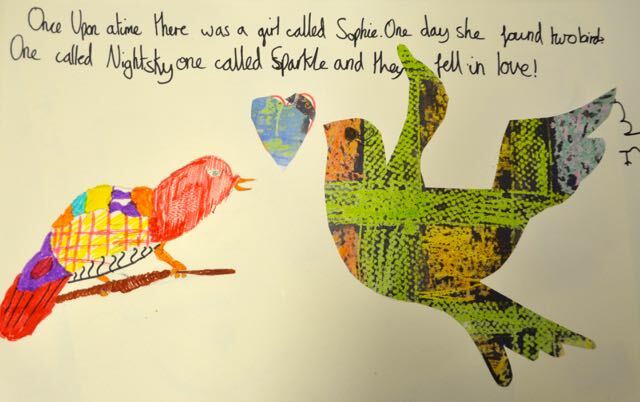 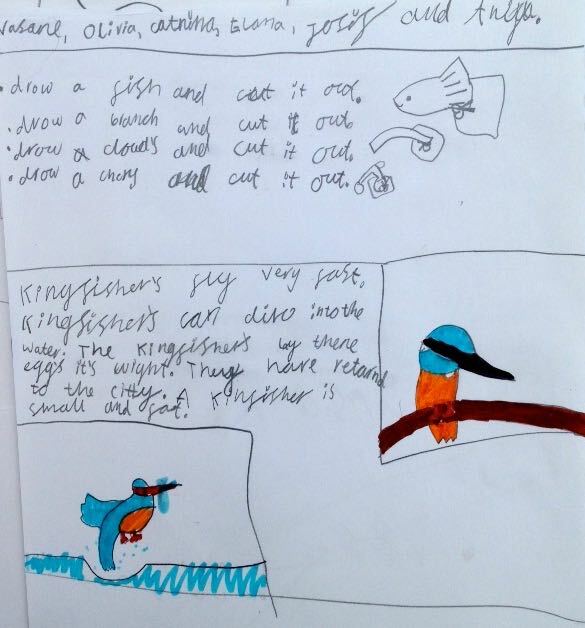 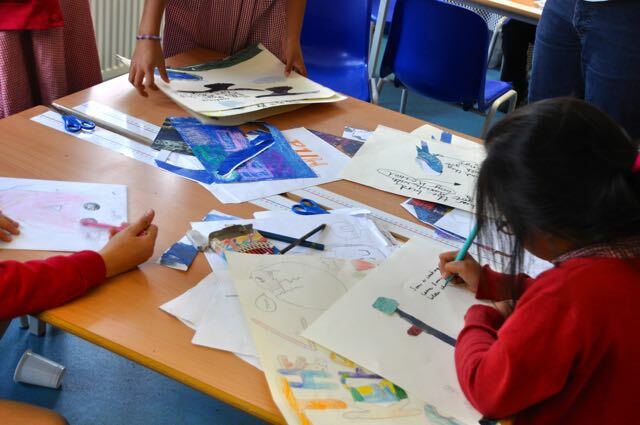 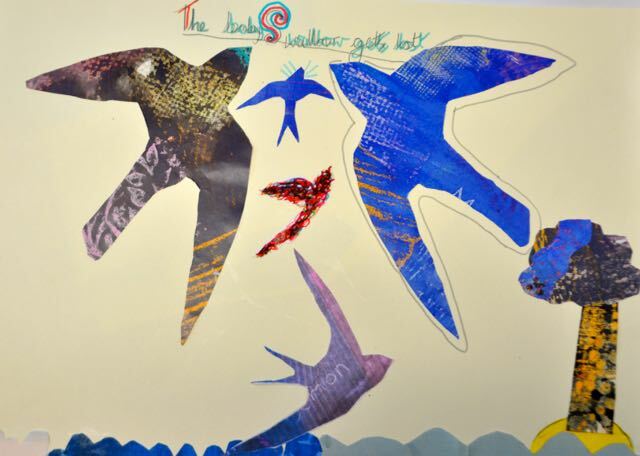 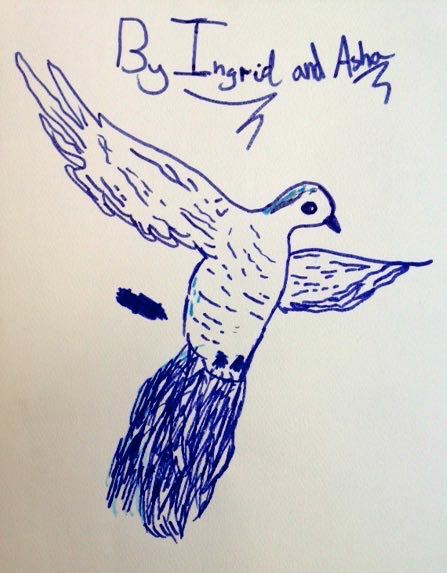 In our after school Art club at Pelham School we have been working on a picture book about birds. 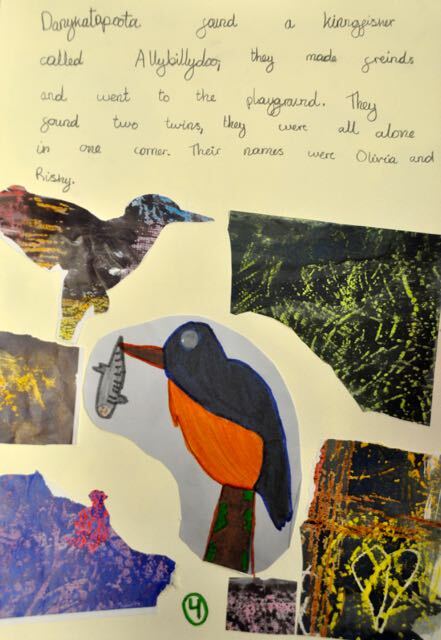 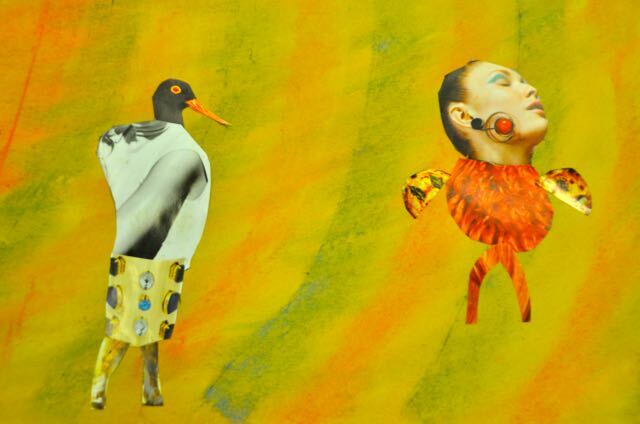 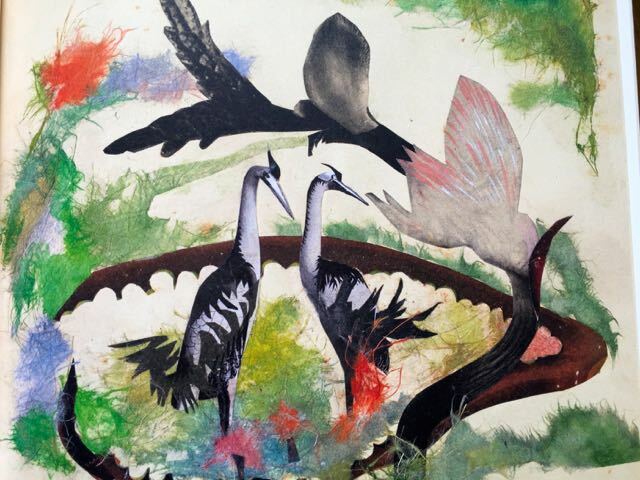 At Pelham each class is named after a bird which was Veena’s starting point for the project. 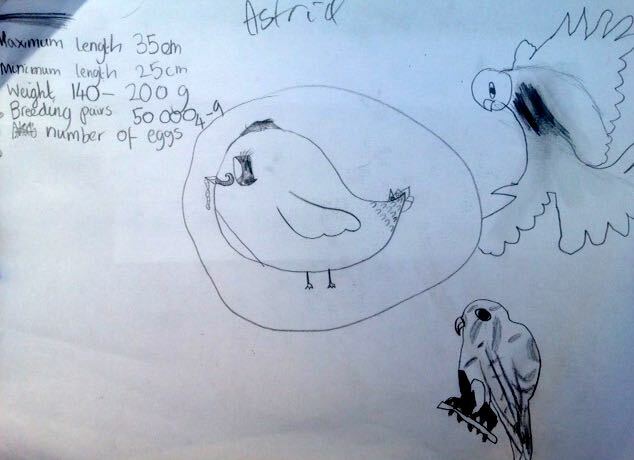 They researched different birds; how they move, feed, fly and what they sound like. 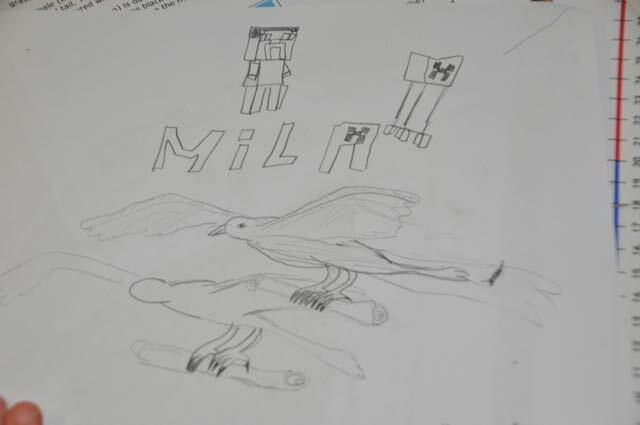 Lots of drawings were made. 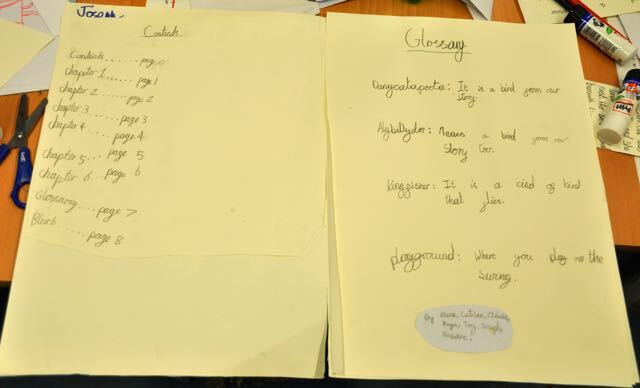 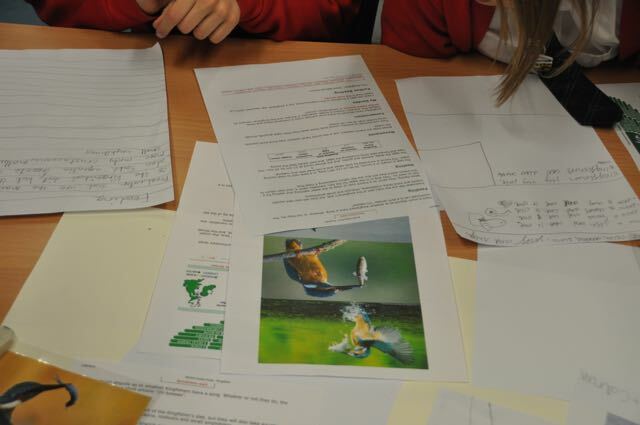 The next stage was to begin developing a storyline, this was done in groups. 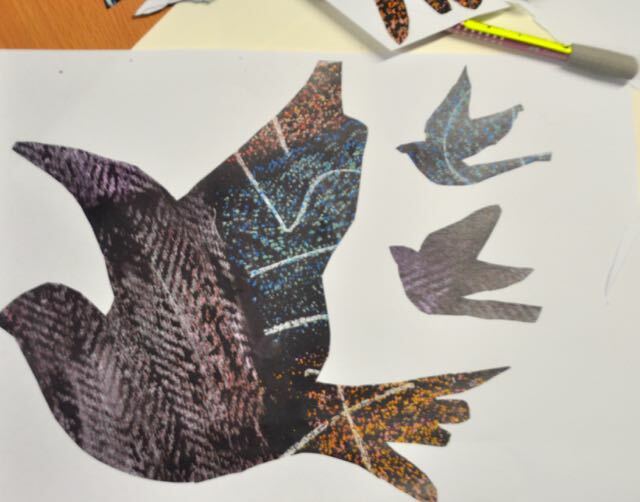 Lots of cut-outs were made using colour copies of the wax resist papers made in earlier sessions. 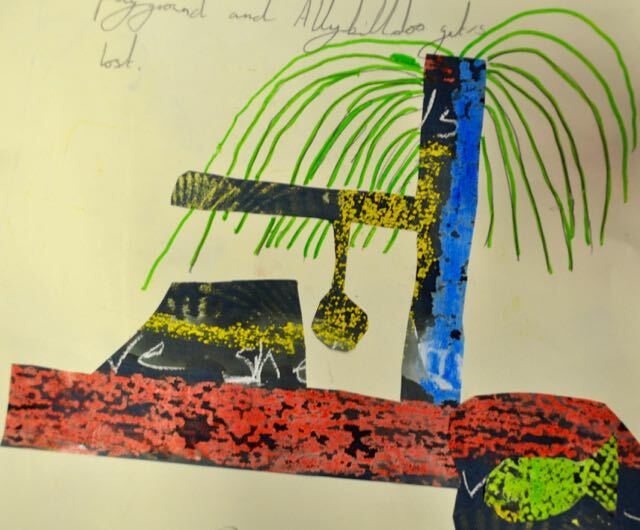 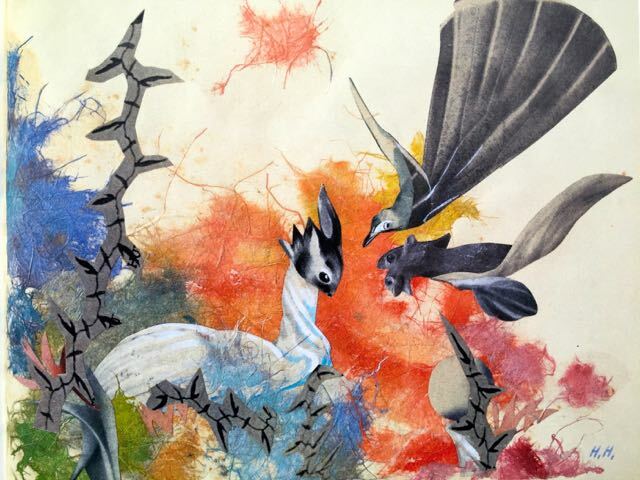 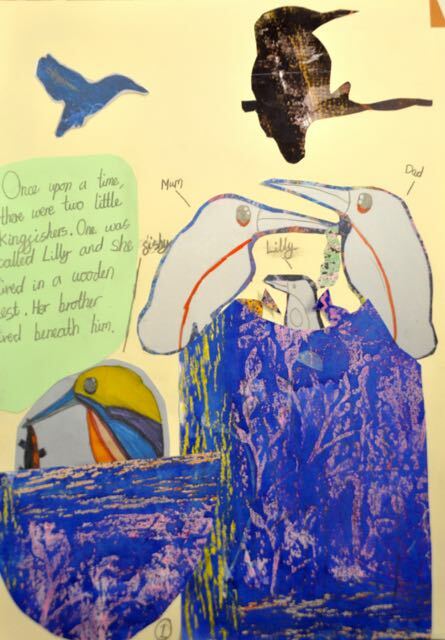 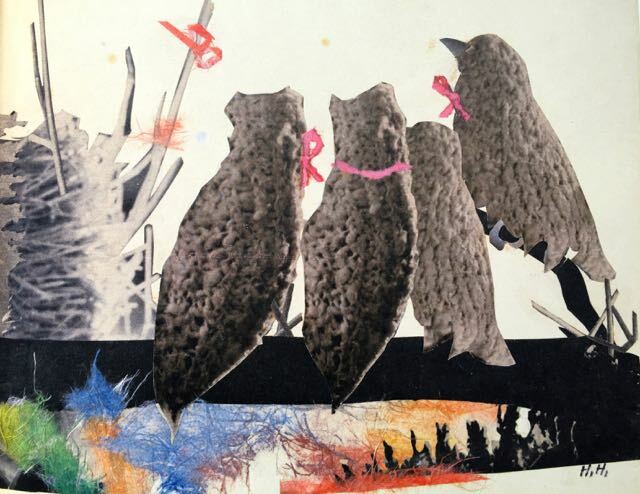 The pages of the stories began to emerge, collage, drawing and writing were combined into mixed media pages. 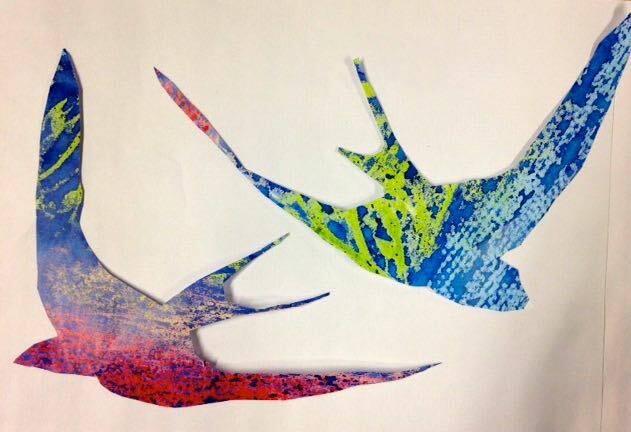 Little pop-up techniques began to be spontaneously incorporated. 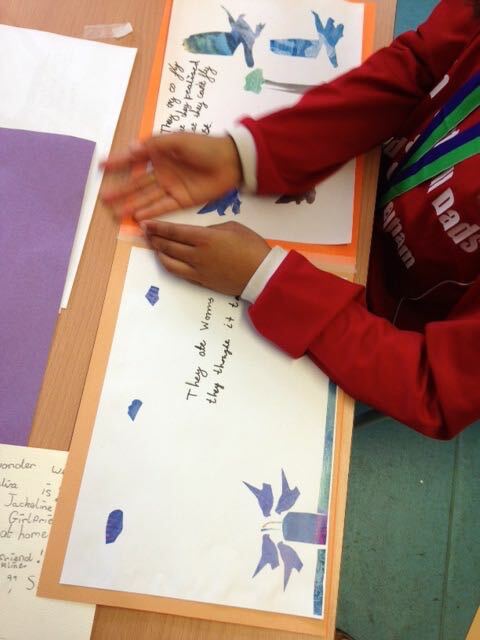 As the sessions developed Veena encouraged the children to refine their storyline and they looked at authors like Eric Carle who developed stores using similar cut-out techniques. 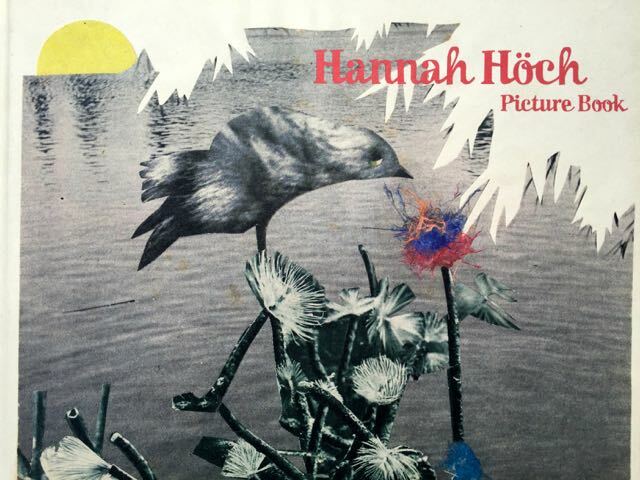 I was struck by how much the work reminded me of another artist Hanna Hoch (1889-1979) who worked in the medium of collage and wrote her own picture book for children in 1945. 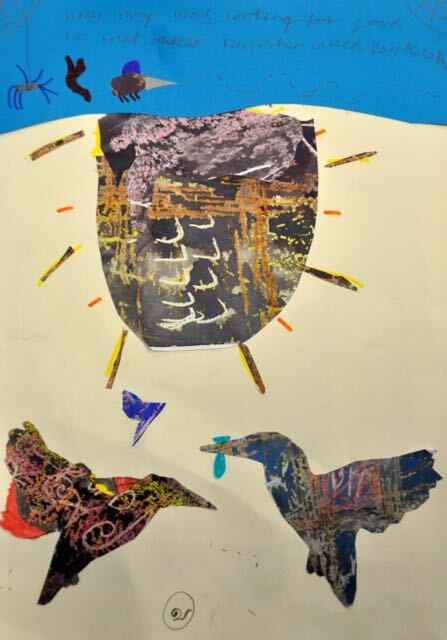 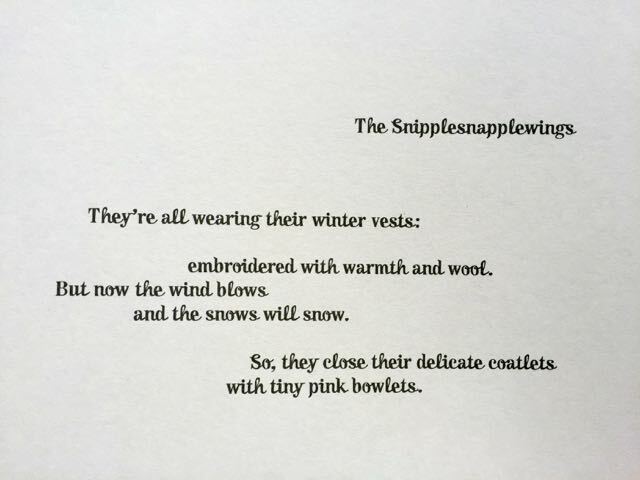 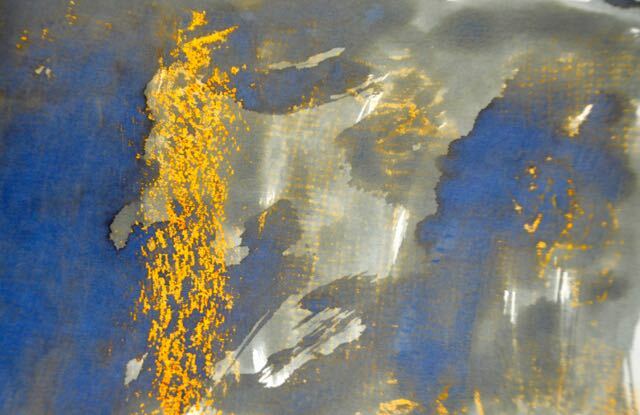 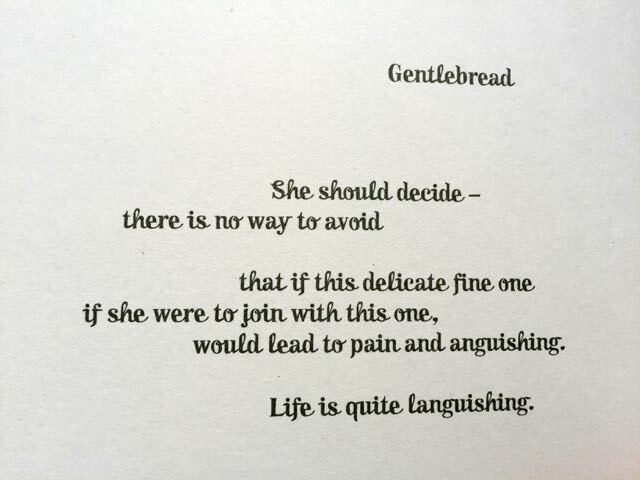 See the images and poems below. 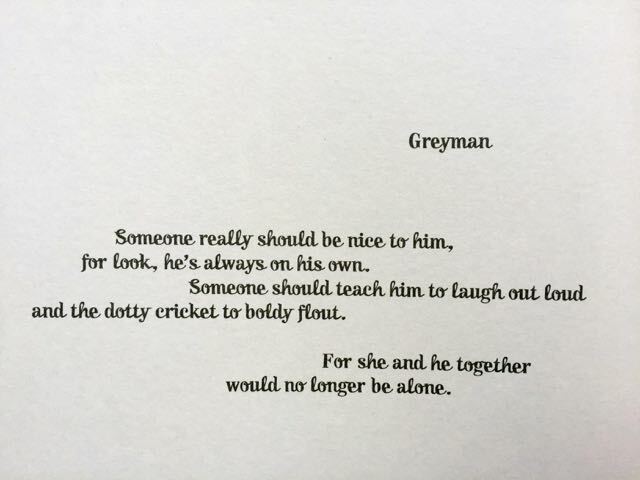 I shared these with the children for more inspiration. 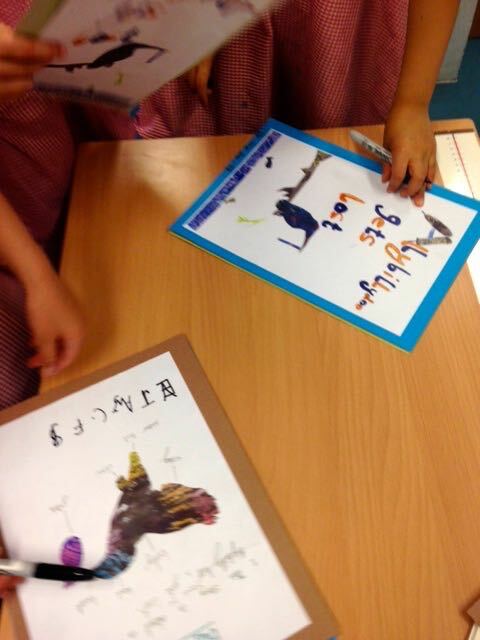 Gradually the books came together ready to be shared and taken home.